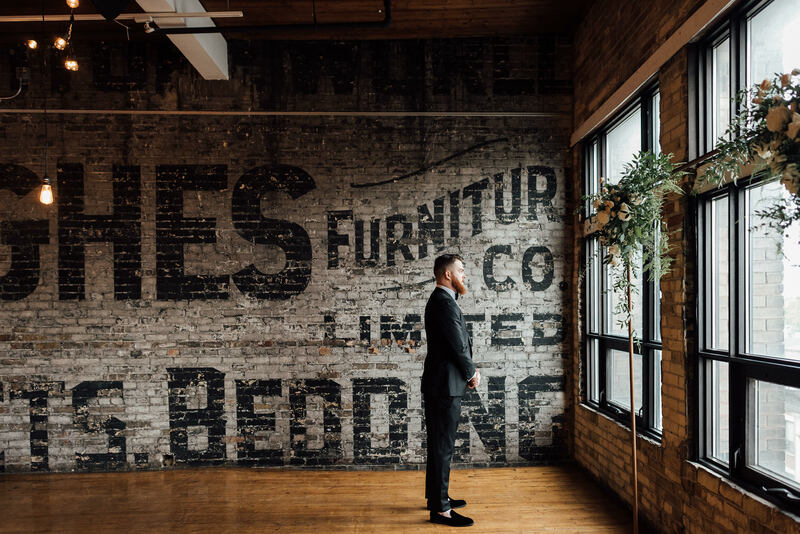 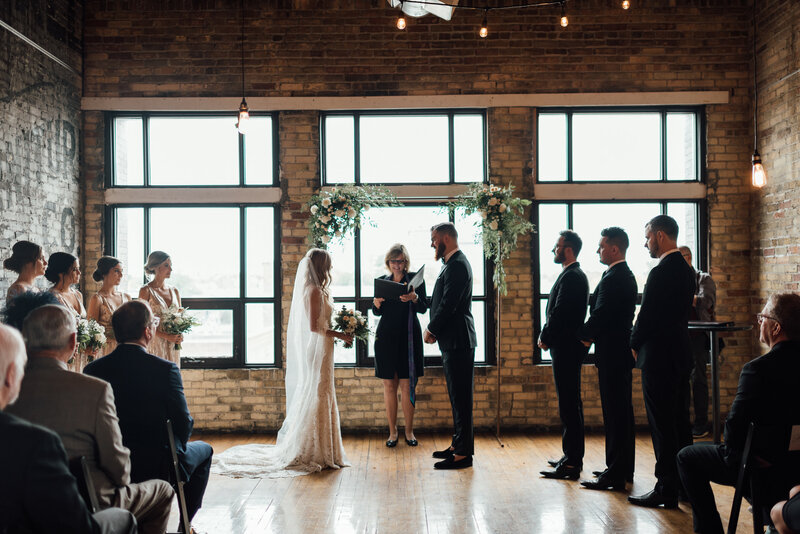 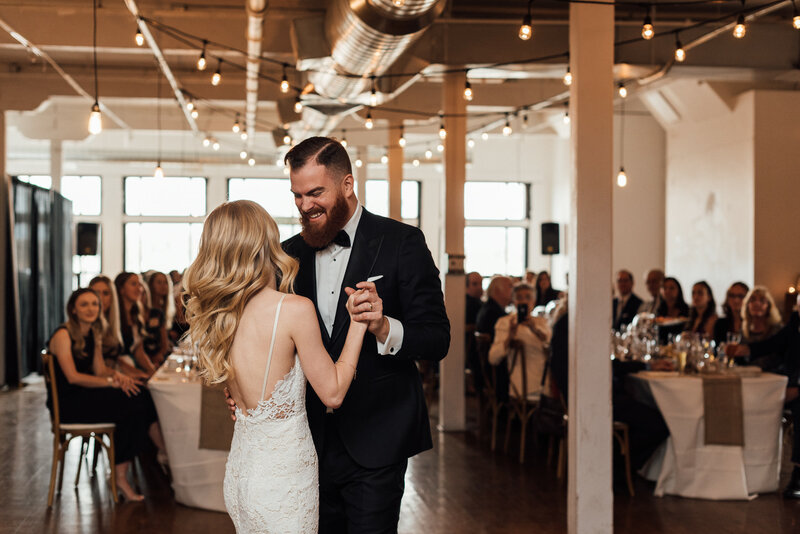 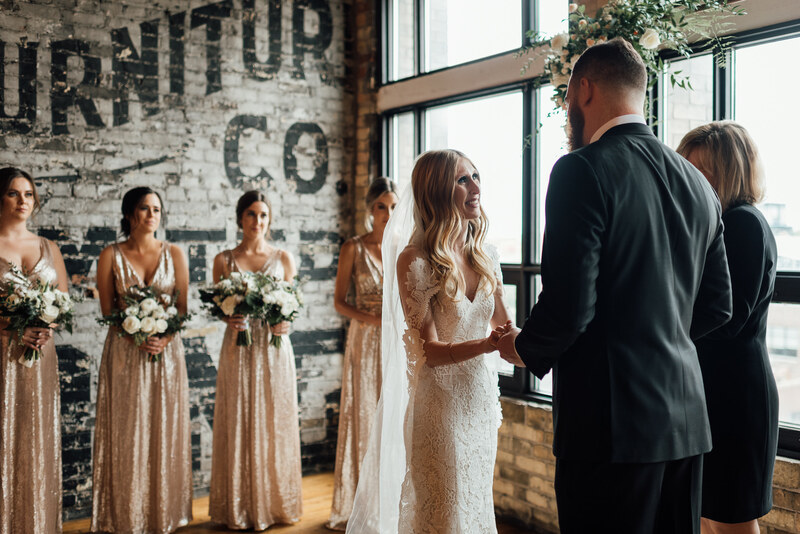 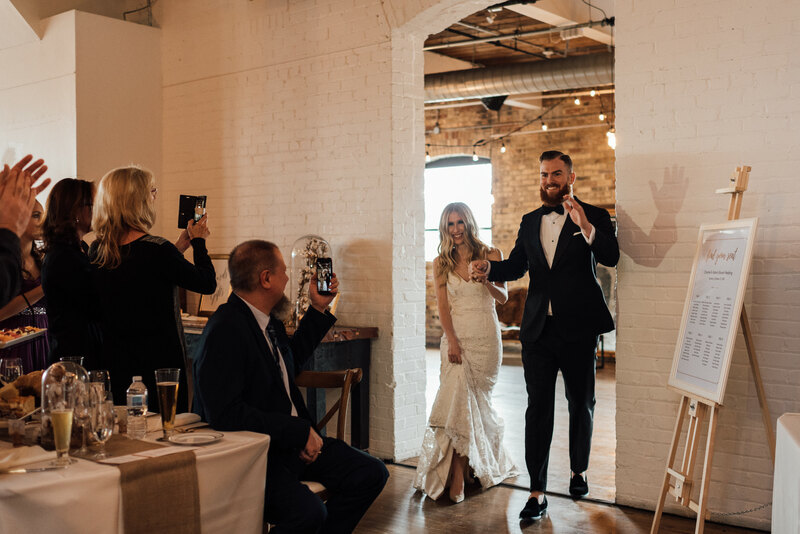 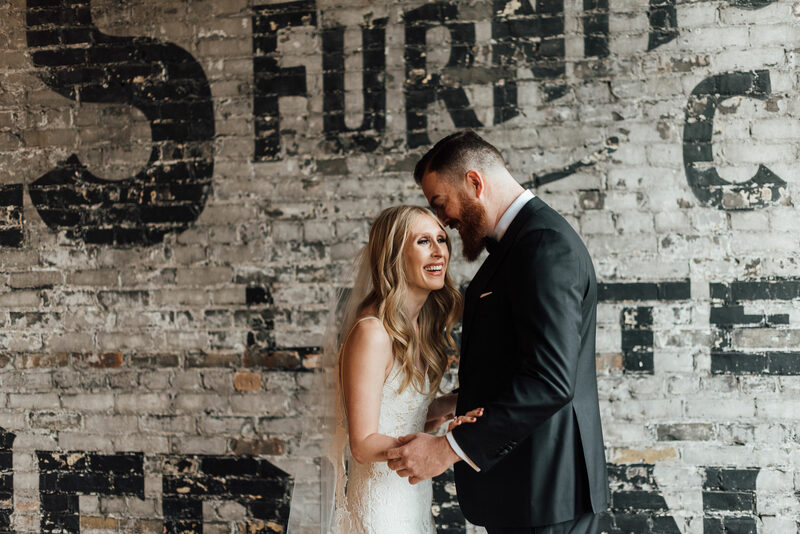 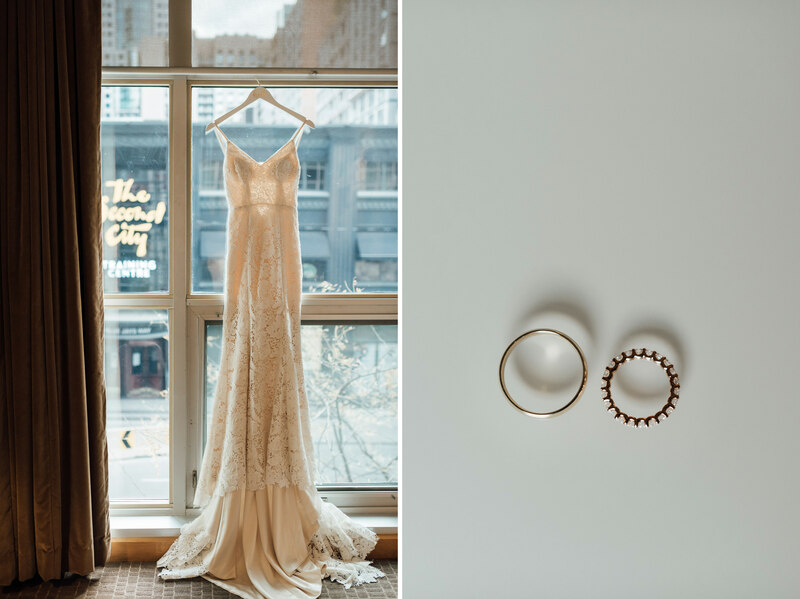 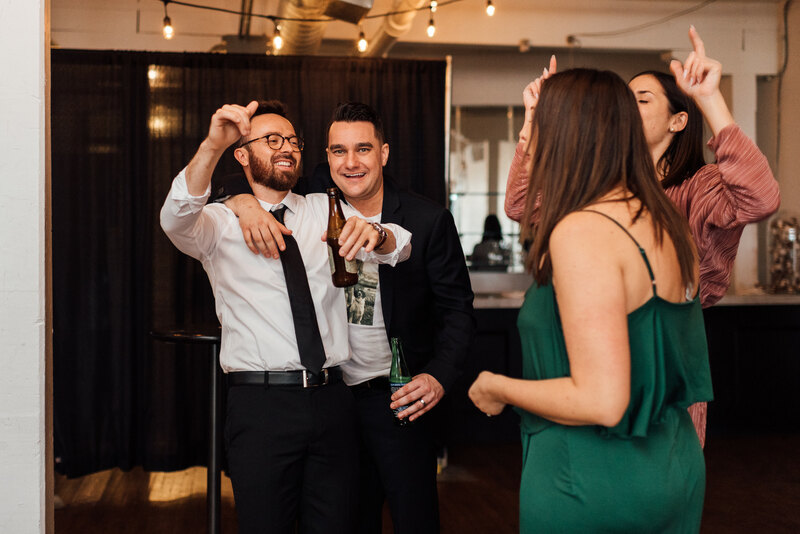 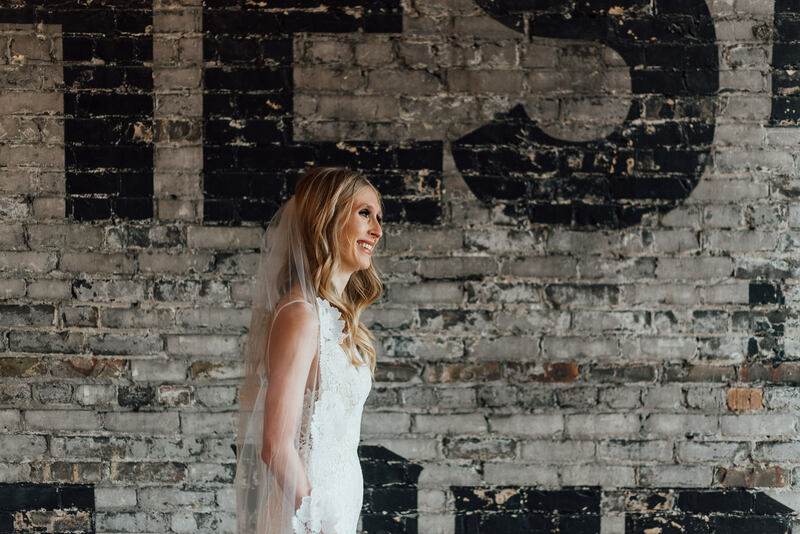 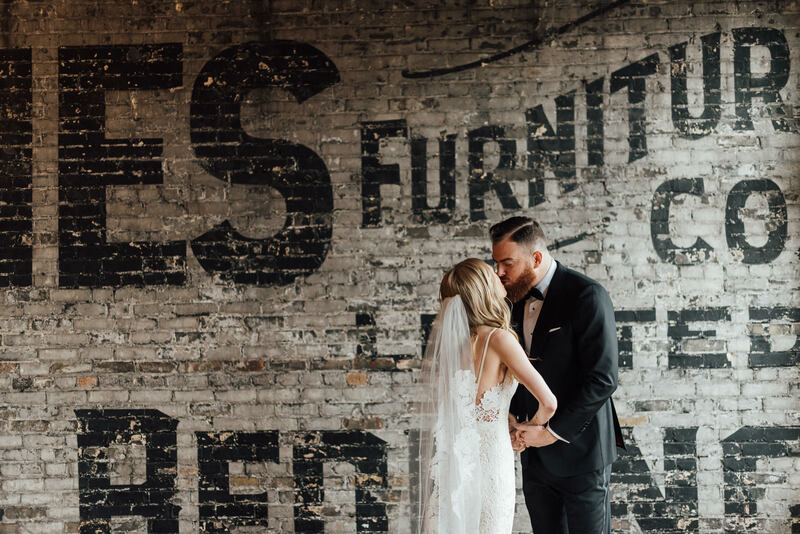 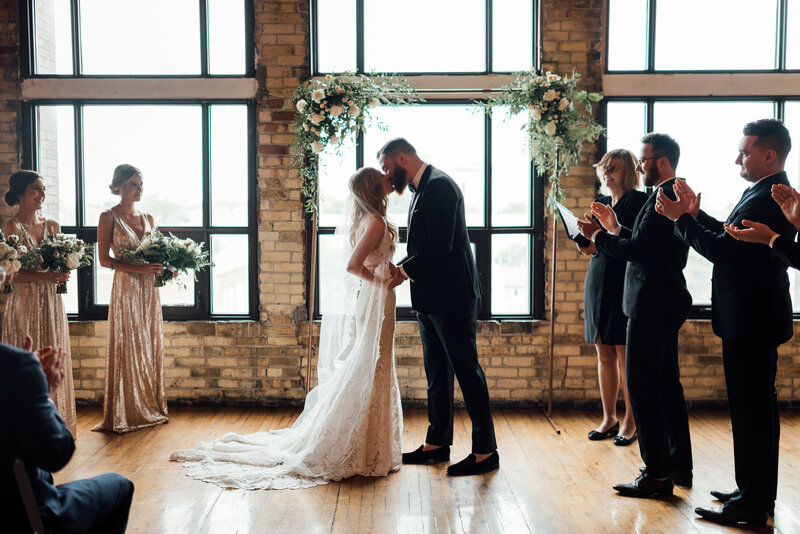 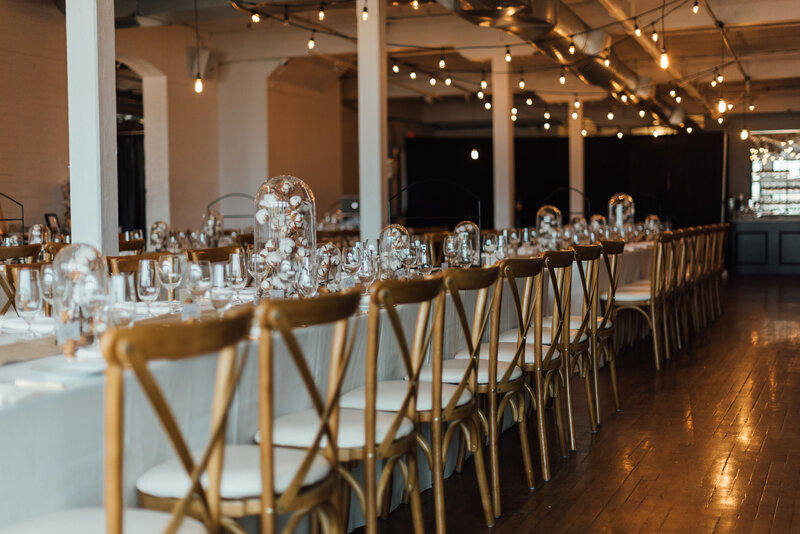 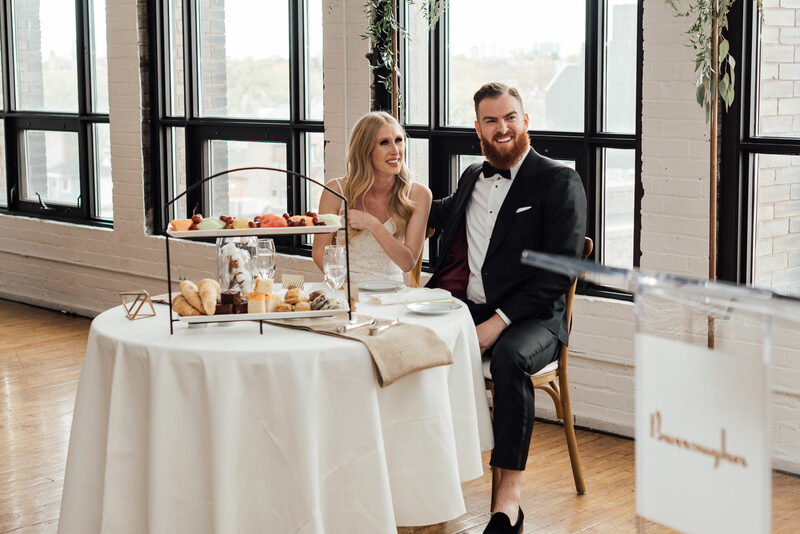 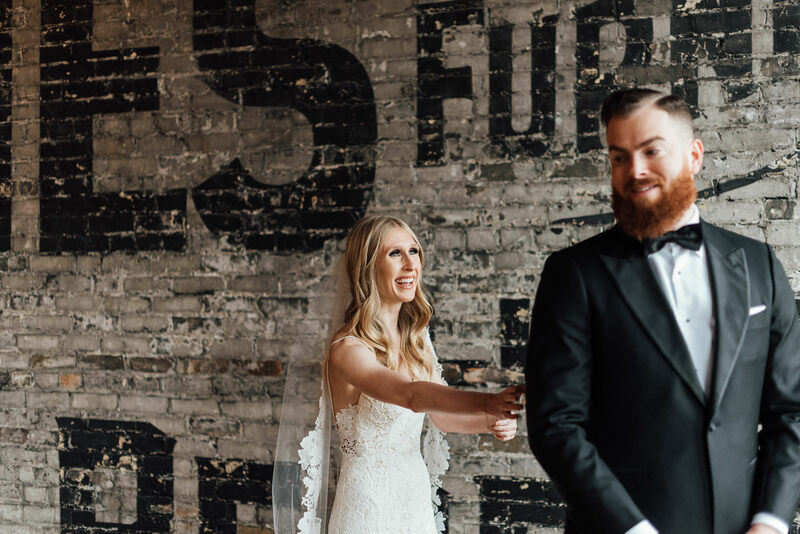 Chantel and Adam knew exactly how they envision their wedding day at the Burroughes Building in Toronto. 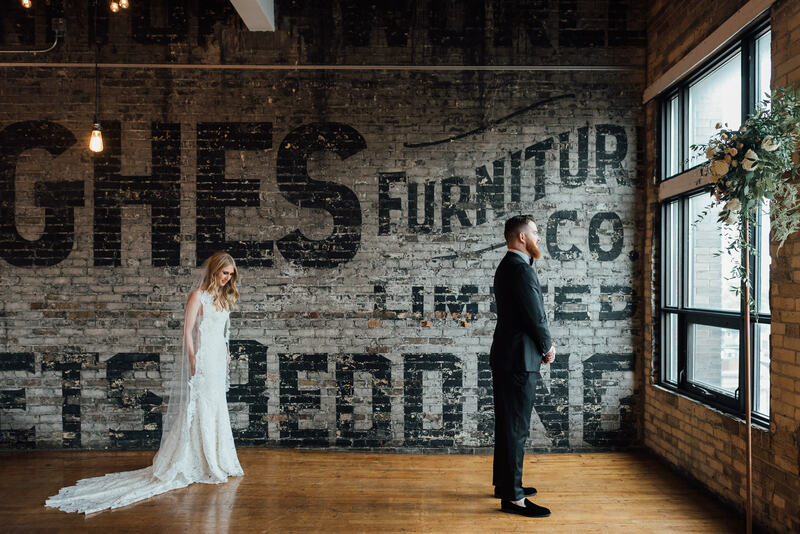 They knew that they wanted to celebrate their day in a different way. 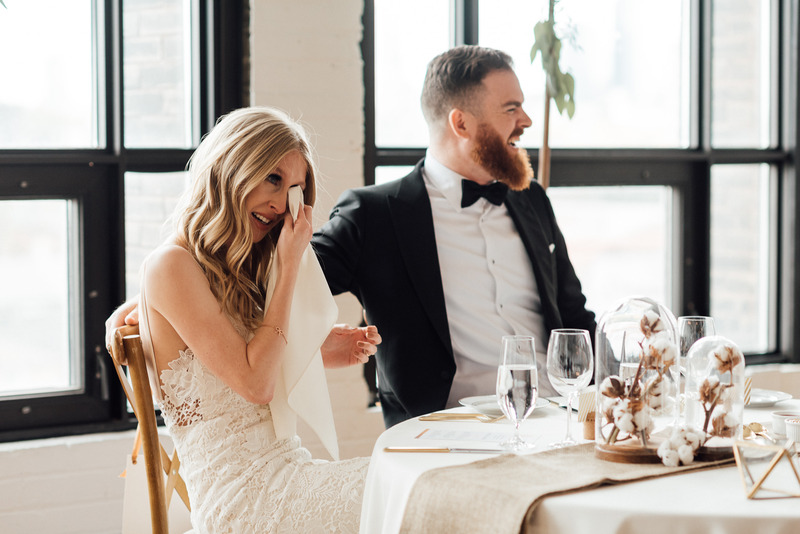 Their wedding ceremony started at 10: 30 AM and was followed by a brunch! 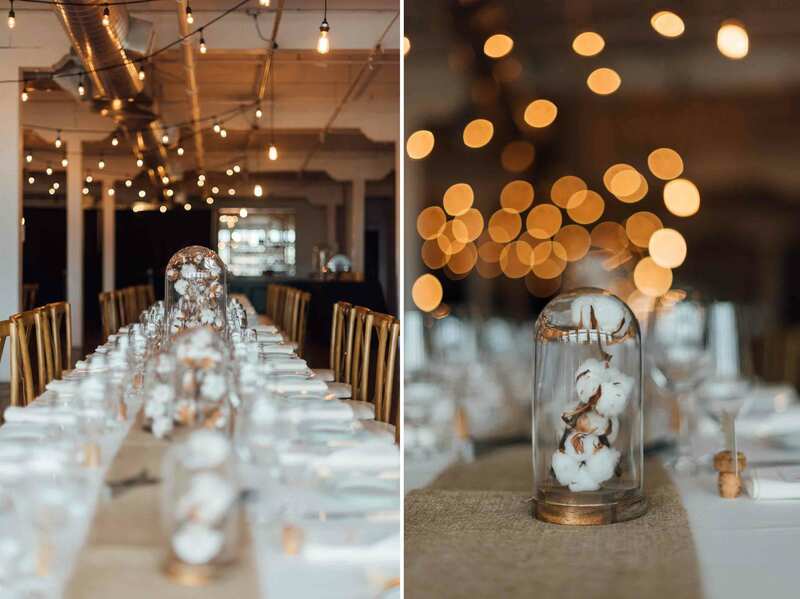 The decor was simple and elegant at the same time. 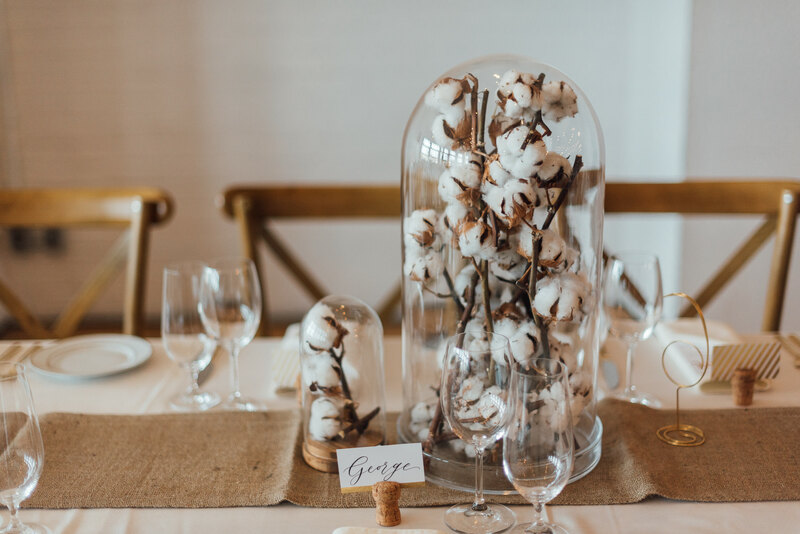 The centrepieces where cotton flowers! 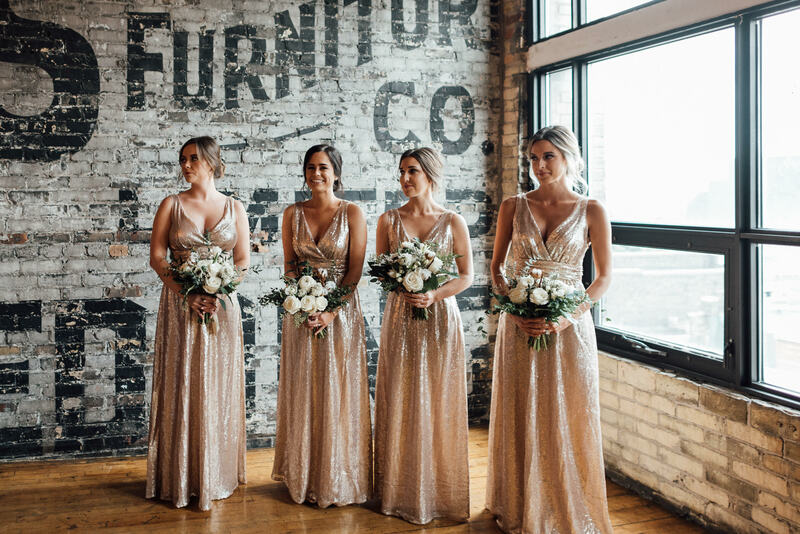 They looked amazing! 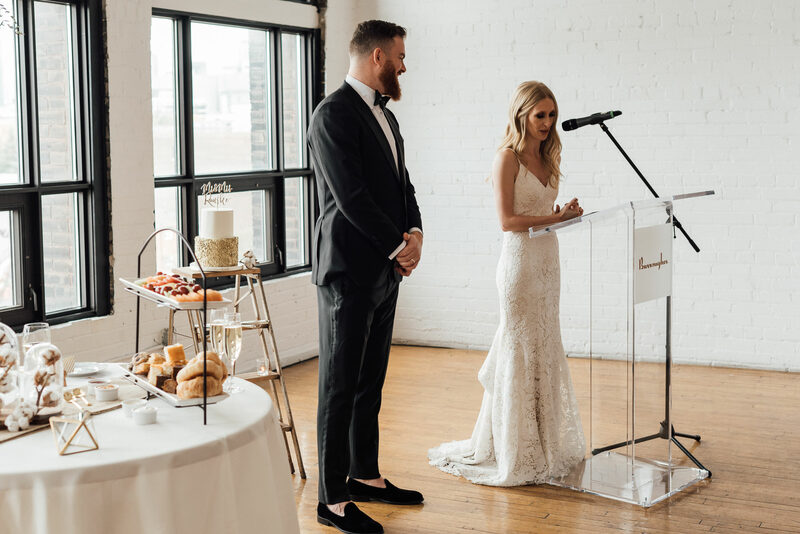 Chantel and Adam though about every detail. 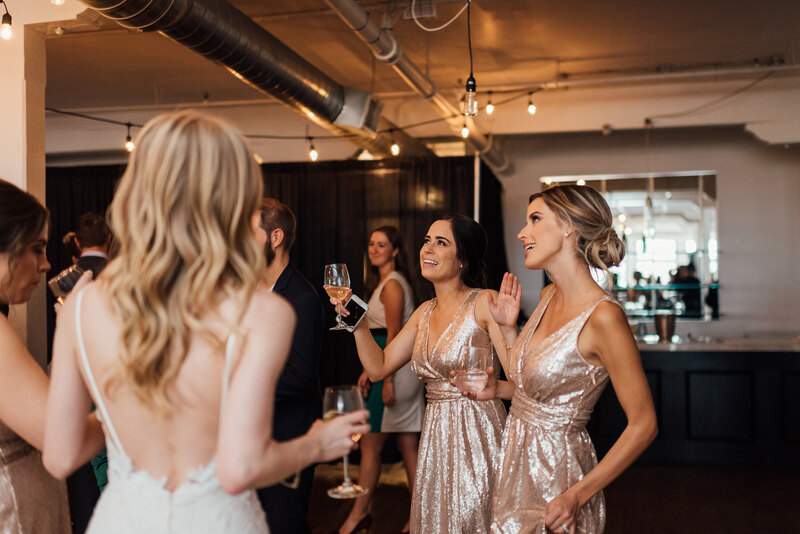 You can plan all the details before the wedding day to the very smallest ones but you cannot really plan the closure of your venue because of the Waterfront Marathon. 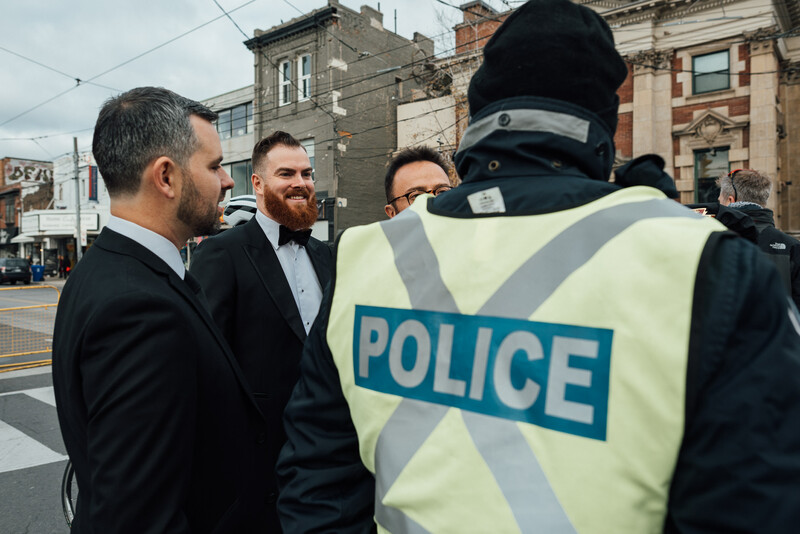 This Marathon and the related closure complicated a few things and also created some stories which will last in our memories for years. 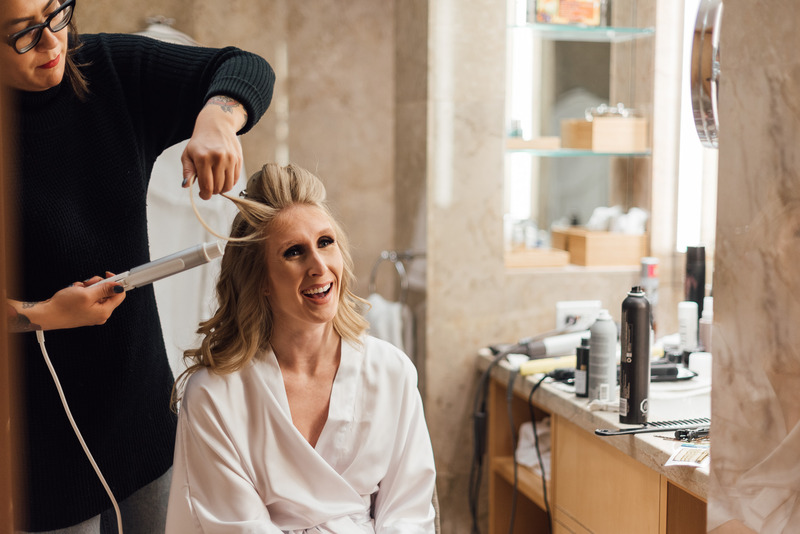 Chantel and Adam got ready early in the morning. 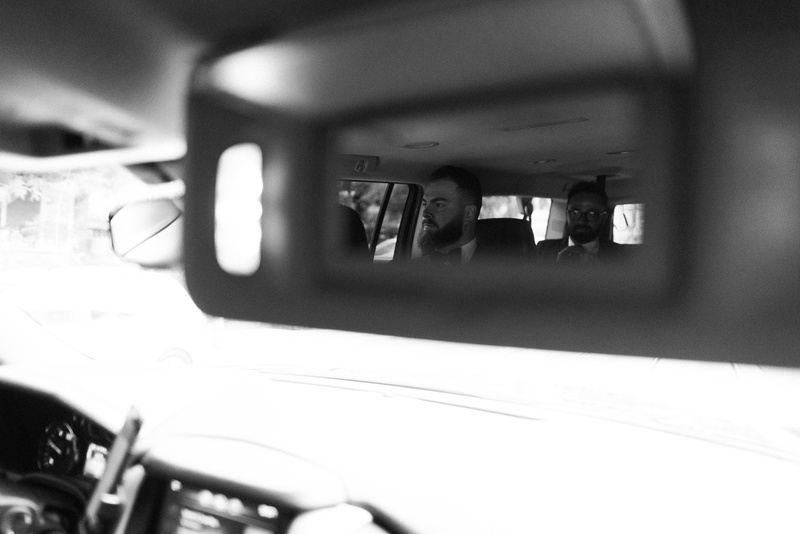 Everyone was ready to head to the venue around 9AM when the marathon just started. 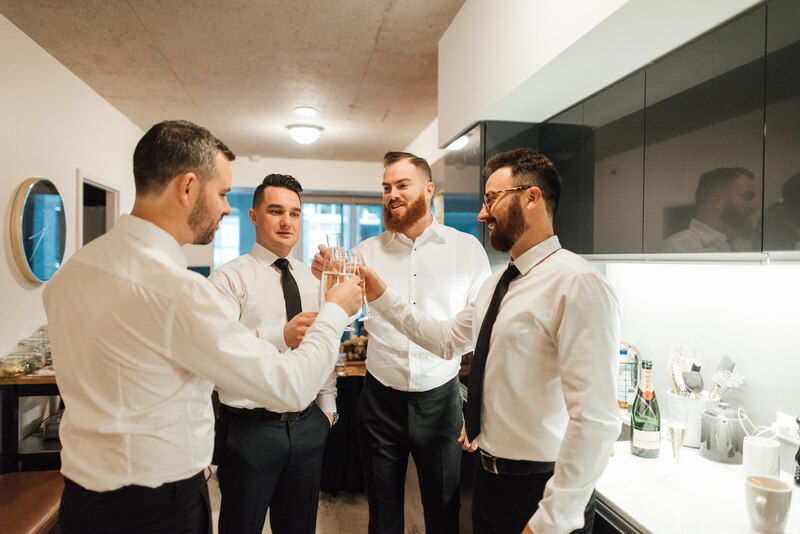 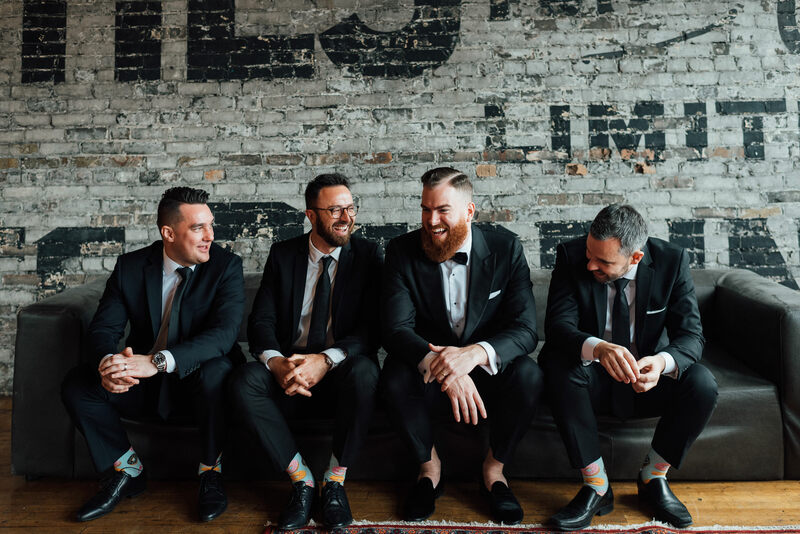 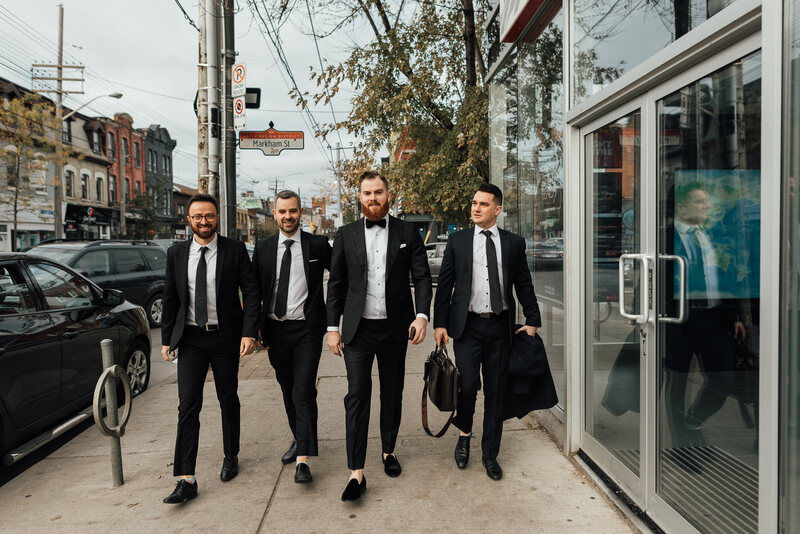 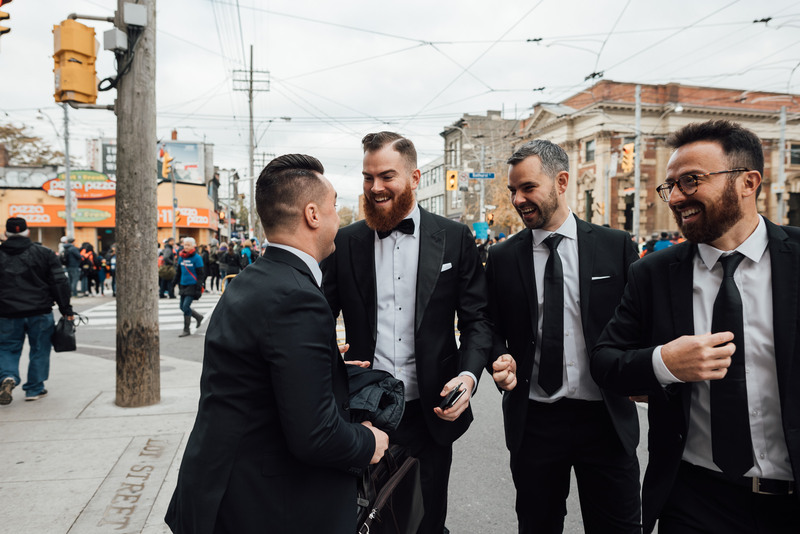 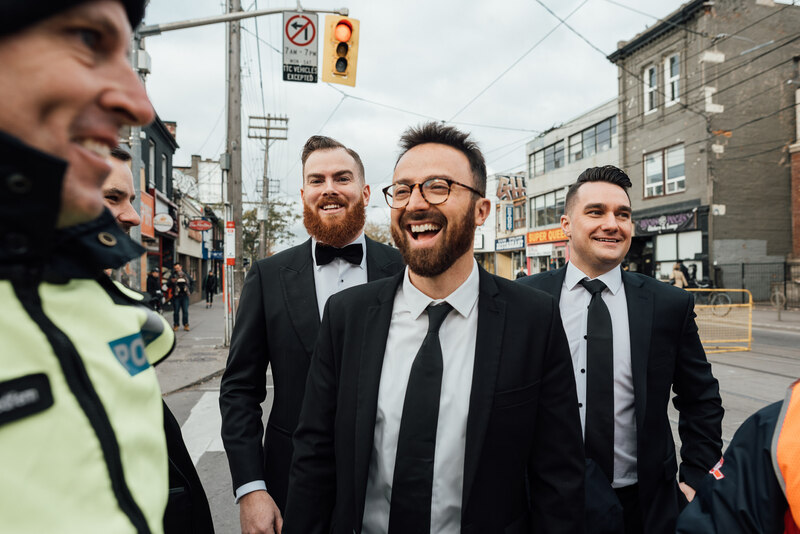 Adam and his groomsmen were challenged by closed Bathurst Street. 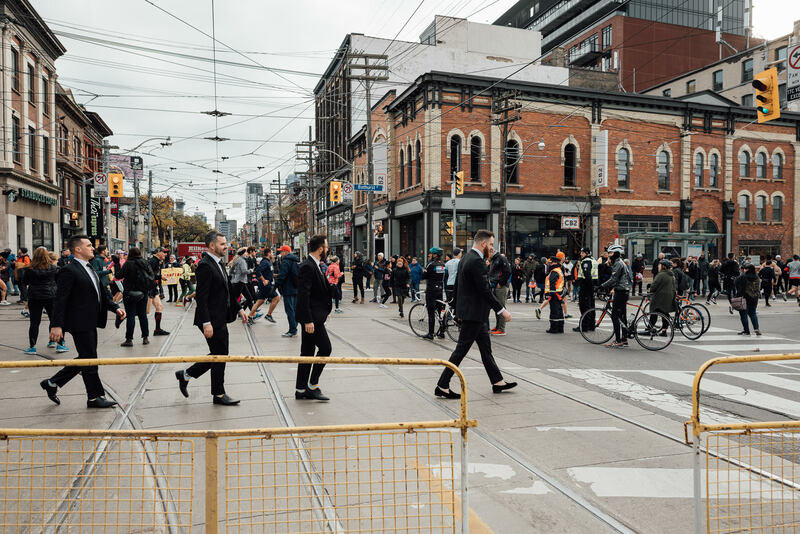 After talking to a stationed Police Officer, there was no other way to cross the street than to run for a bit with a marathon and then smoothly change the direction and turn towards Queen Street to leave people who decided to run this morning more than 40 kilometres. 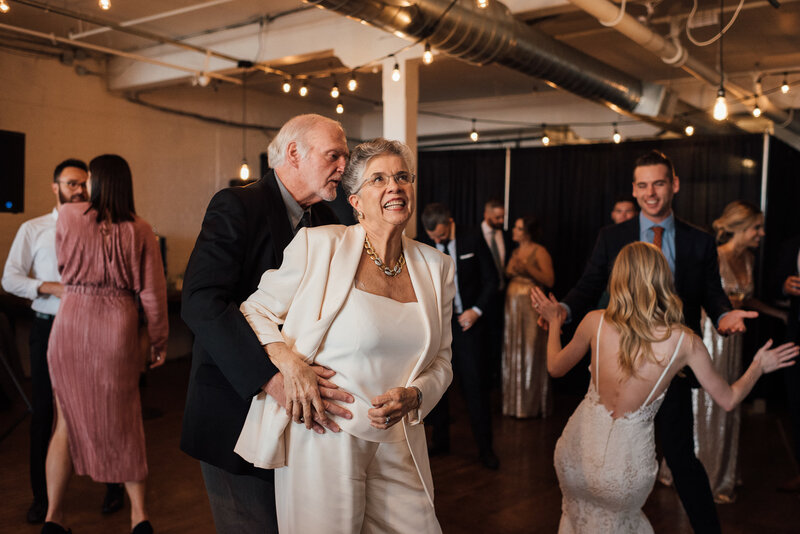 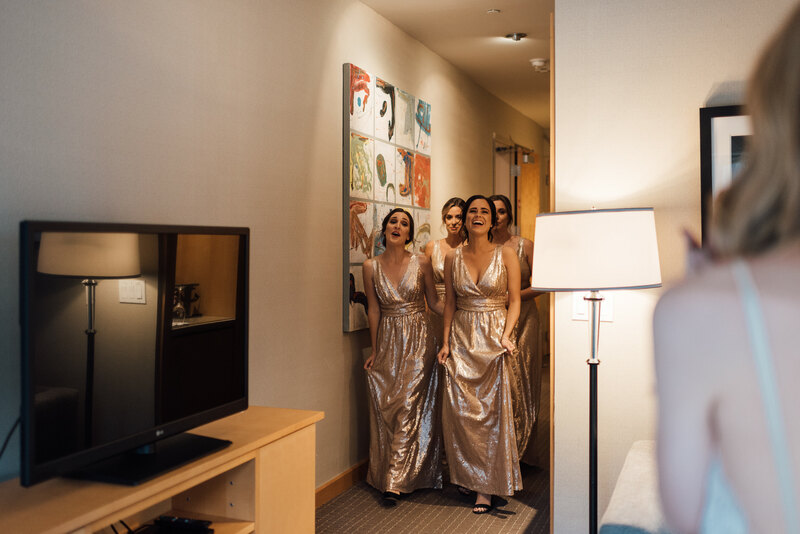 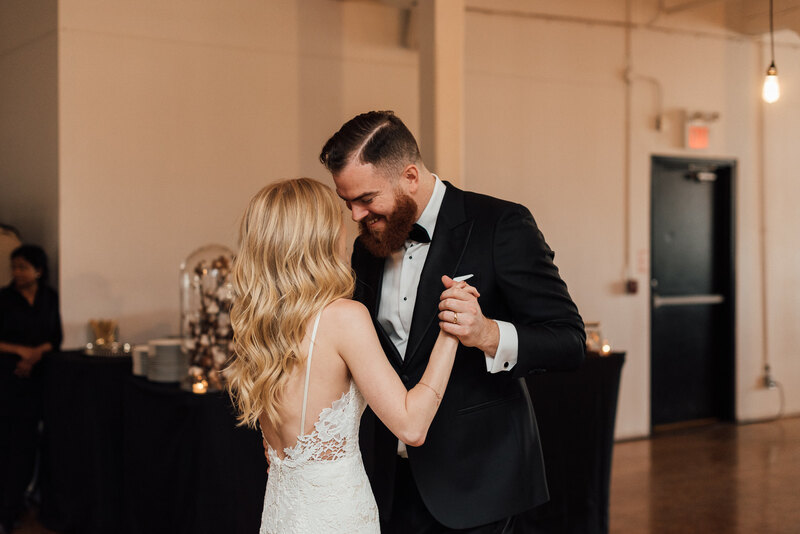 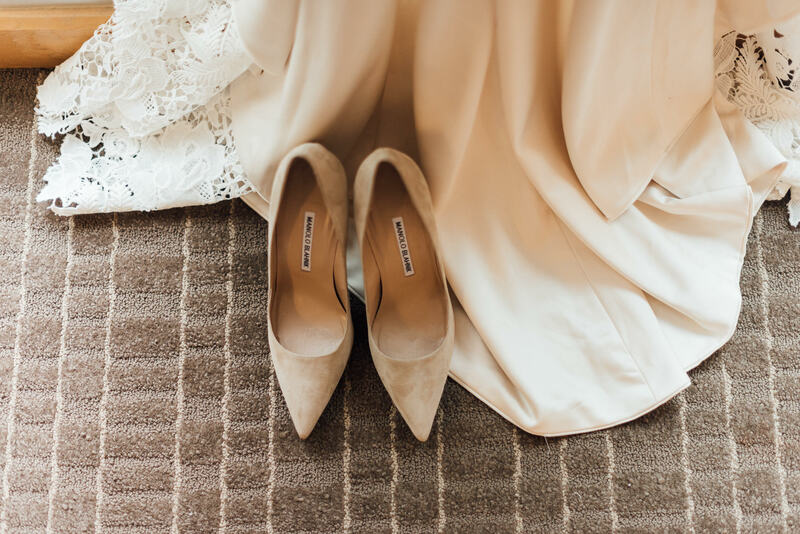 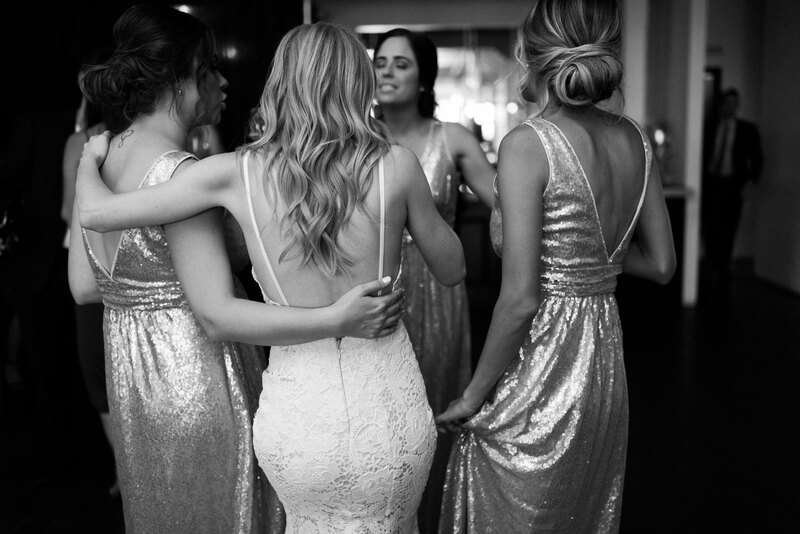 These kinds of moments make the wedding day even more memorable! 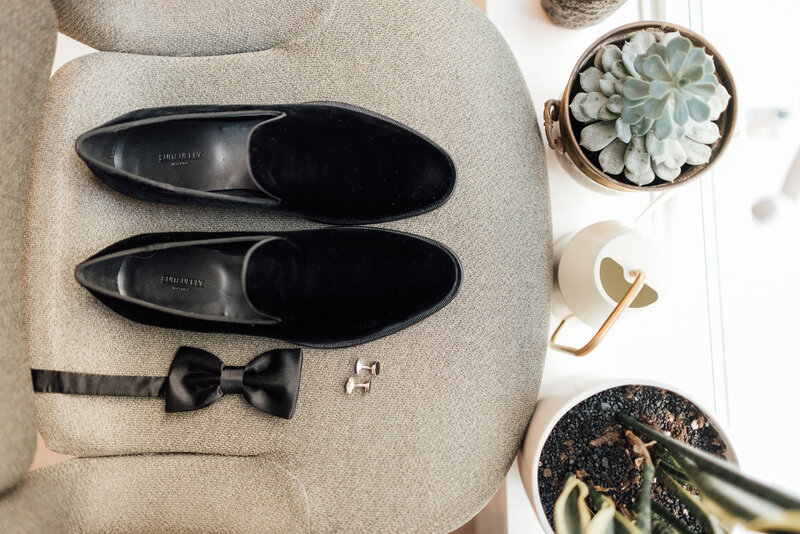 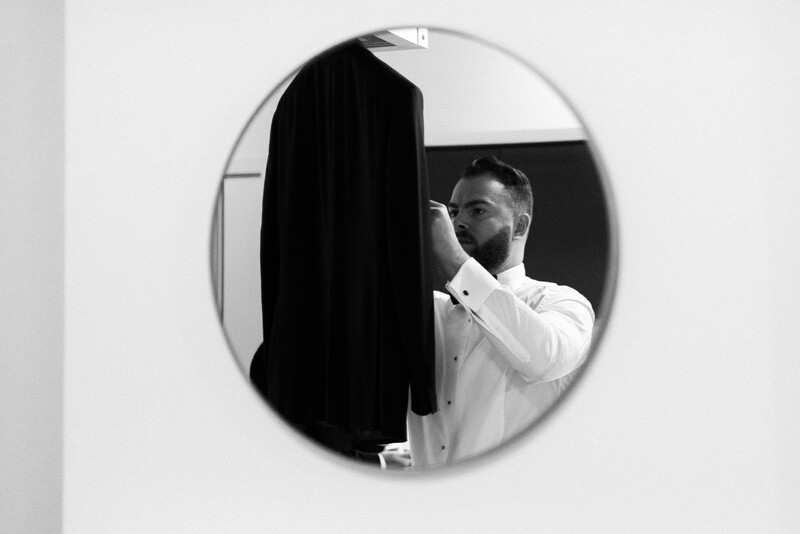 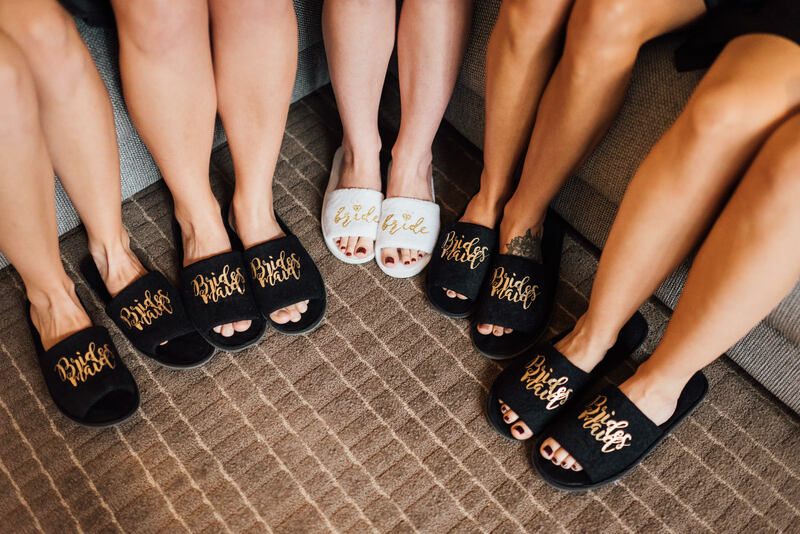 We love how Norbert caught Adam running in his velvet slippers and tuxedo! 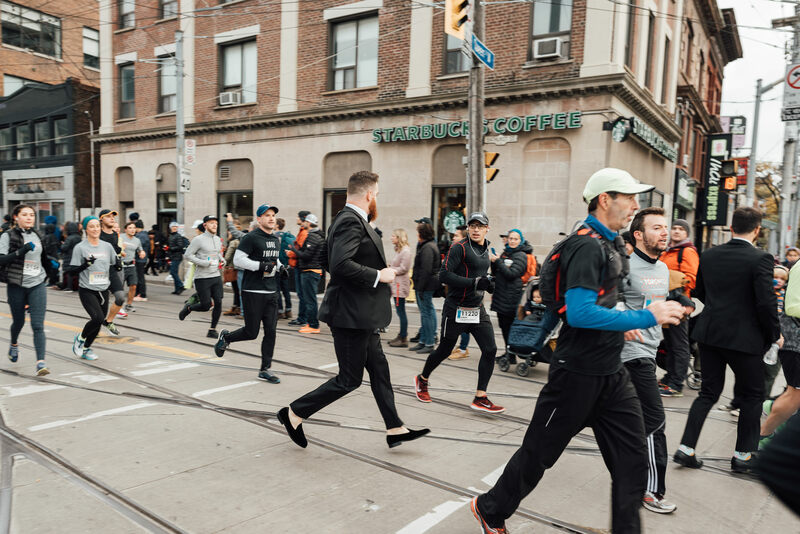 For the split seconds Adam was the most stylish person in the marathon! 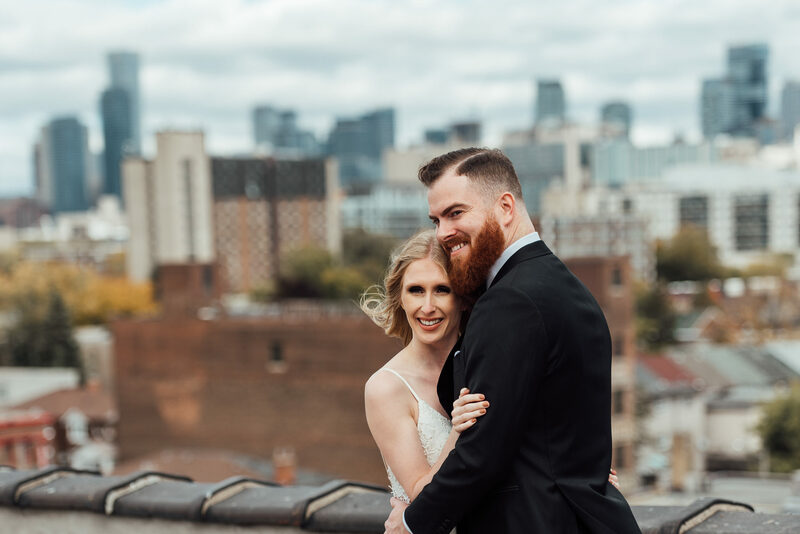 Luckily no one was late because of the road closures and the morning ceremony started on time! 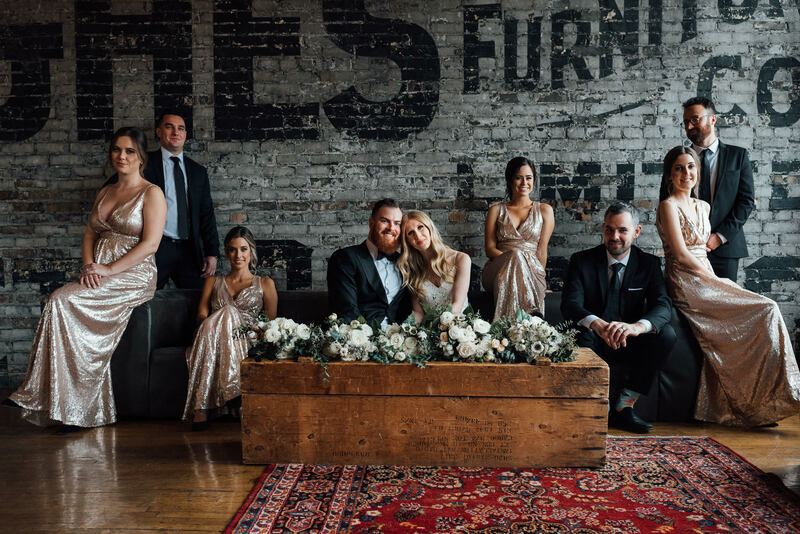 Surrounded by their families and friends Chantel and Adam became a husband and wife! 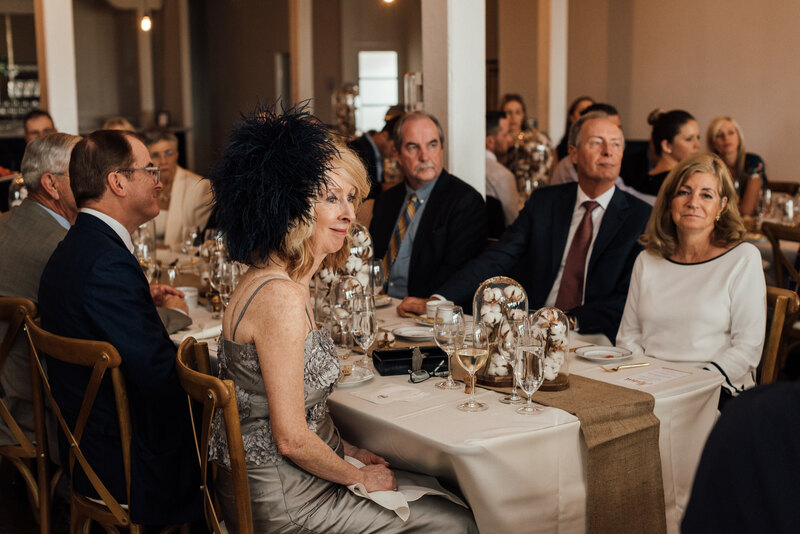 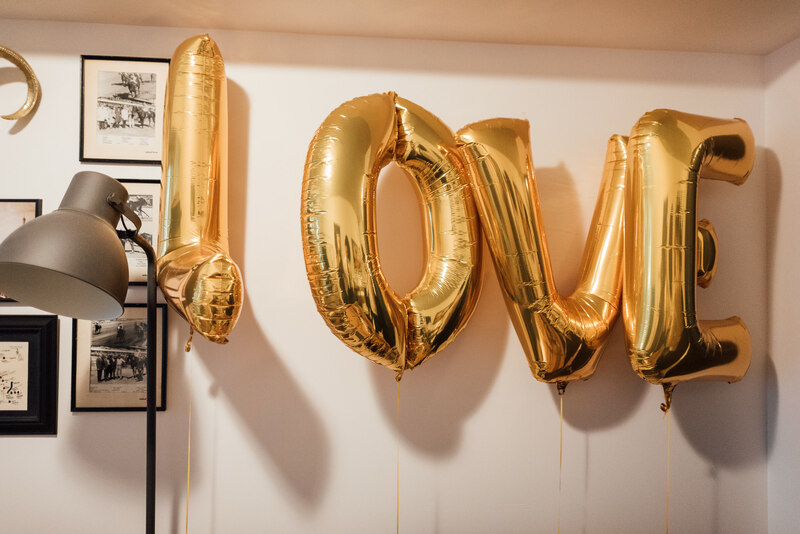 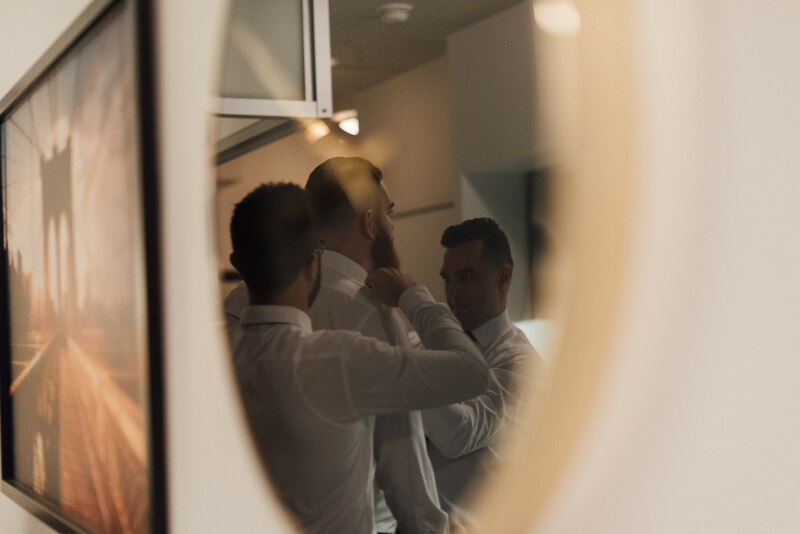 We love to watch couples who are planning their wedding day for so many months and when the day finally arrives we can capture their love which is mixed with a lot of emotions, stress and excitement at the same time. 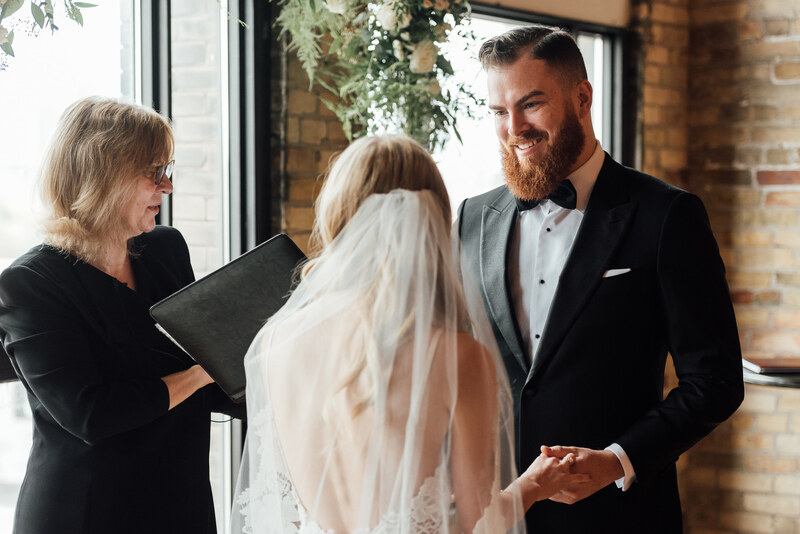 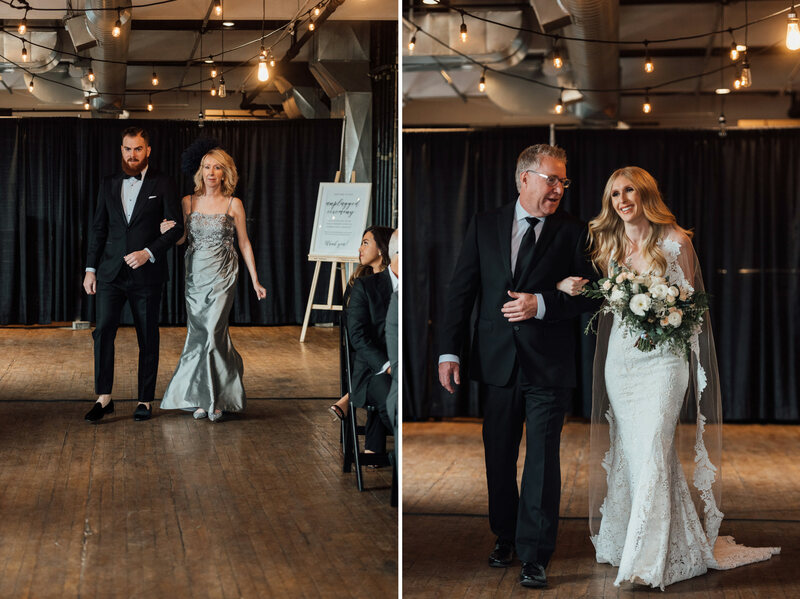 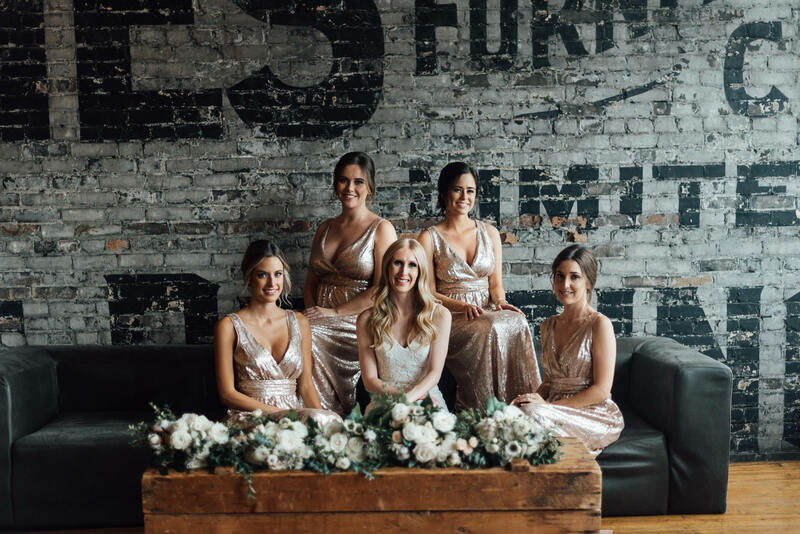 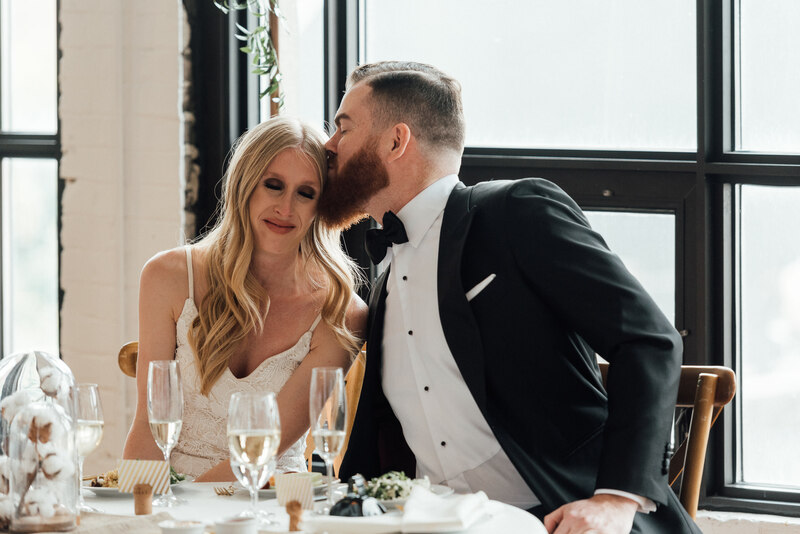 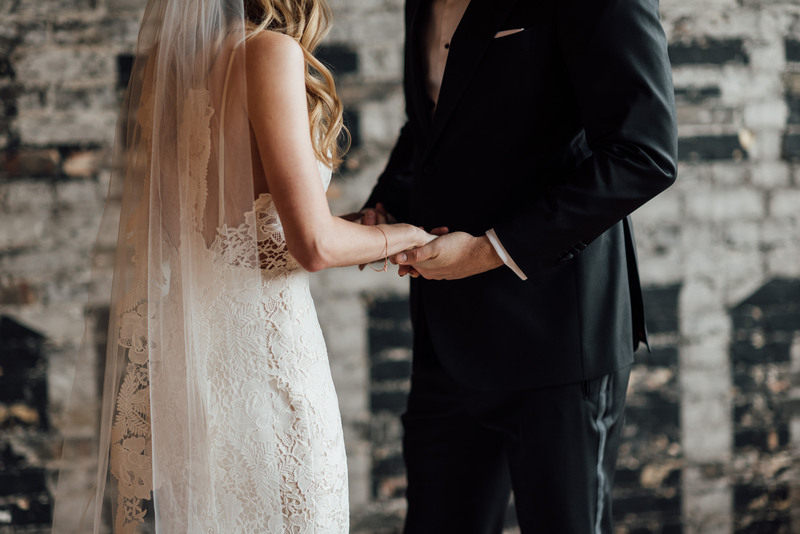 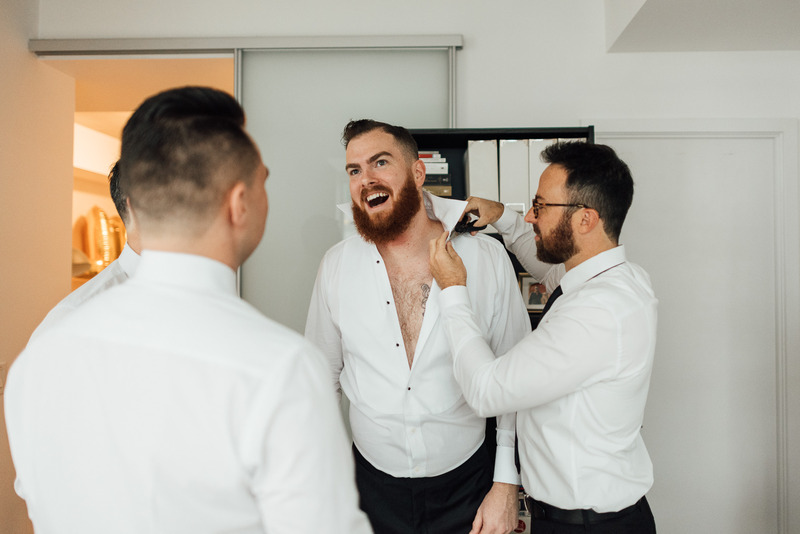 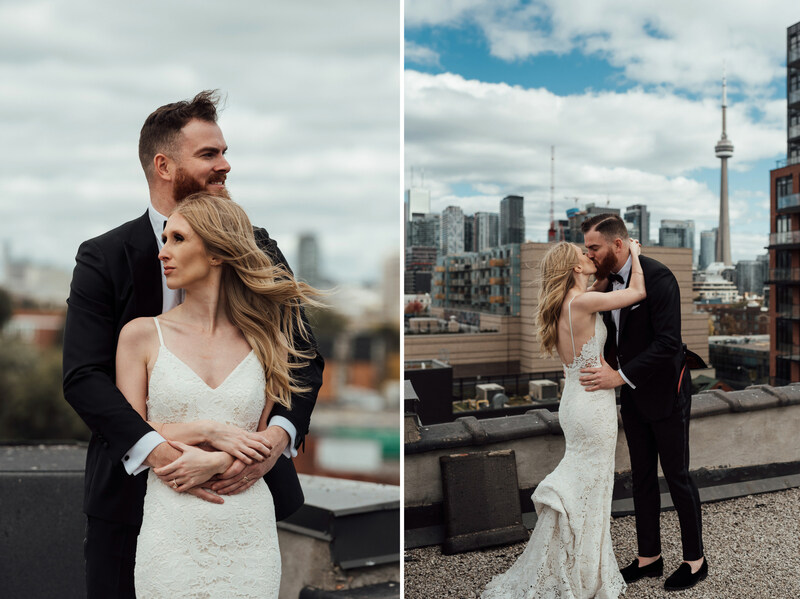 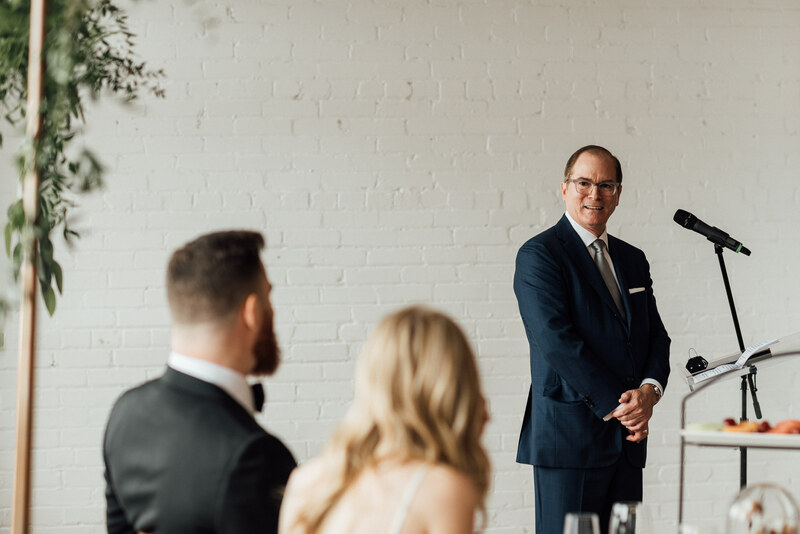 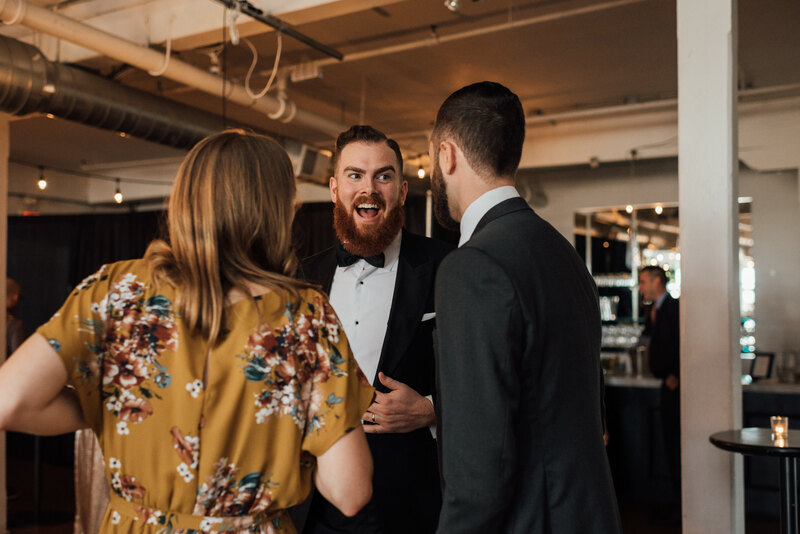 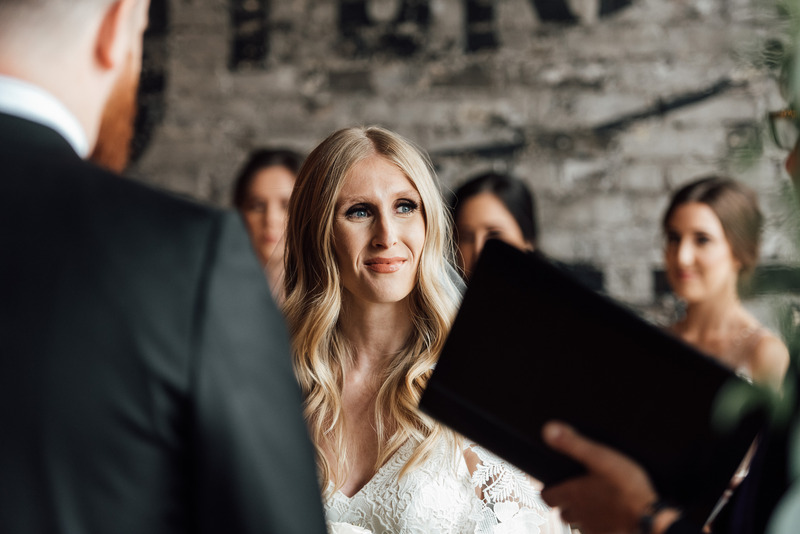 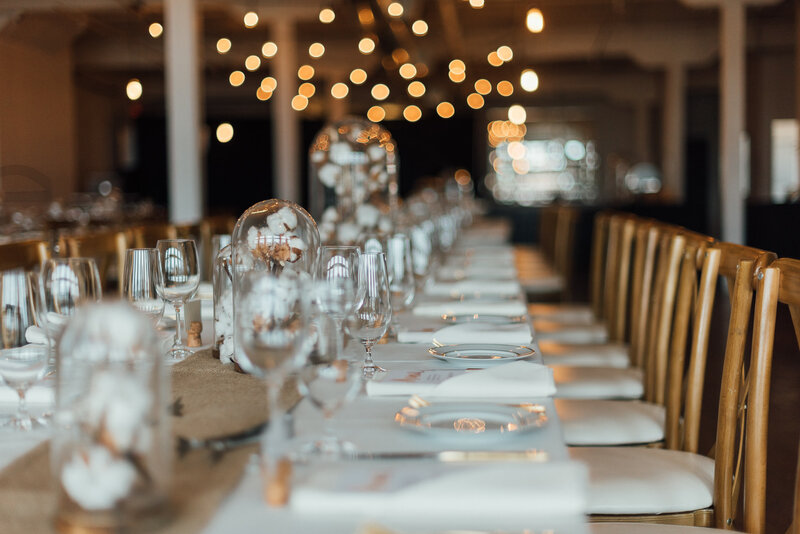 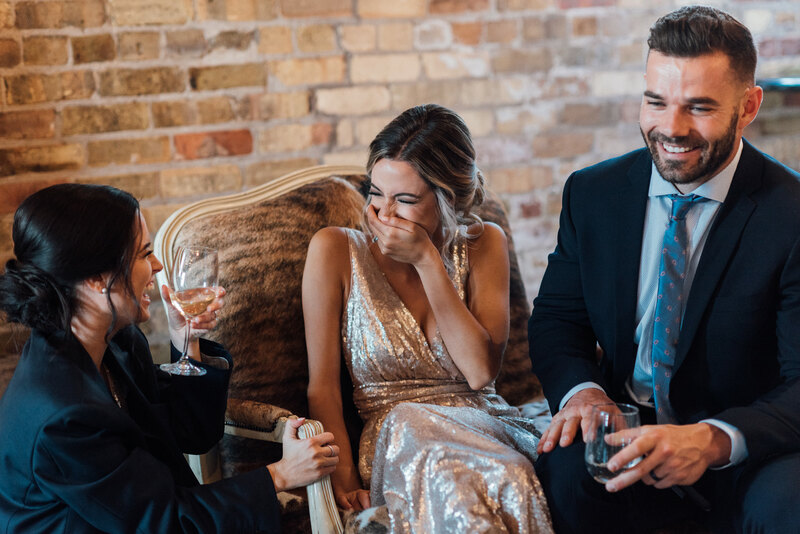 This beautiful wedding in Toronto was photographed by Monika and Norbert from Ever After Photographers – International Wedding Photographers for Adventure Couples.